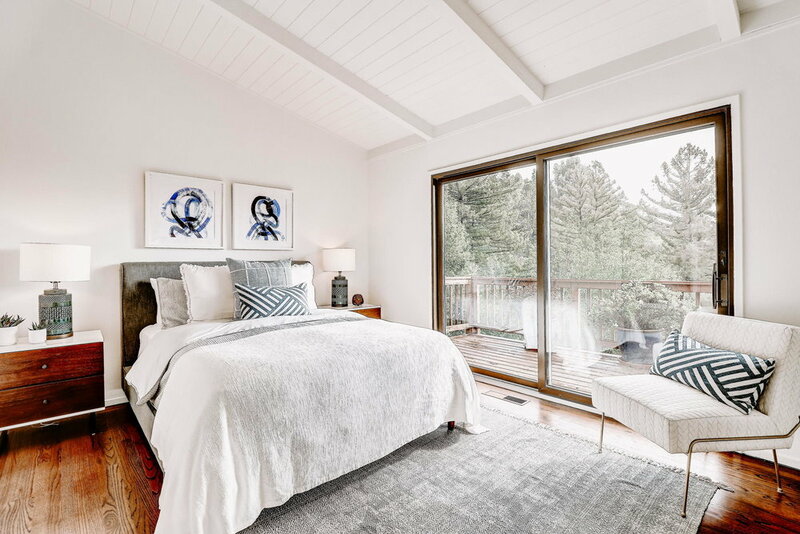 This mid-century modern gem sits on a quiet cul-de-sac on Larkspur’s sought-after King Mountain with stunning views that span all way to the San Francisco Bay. 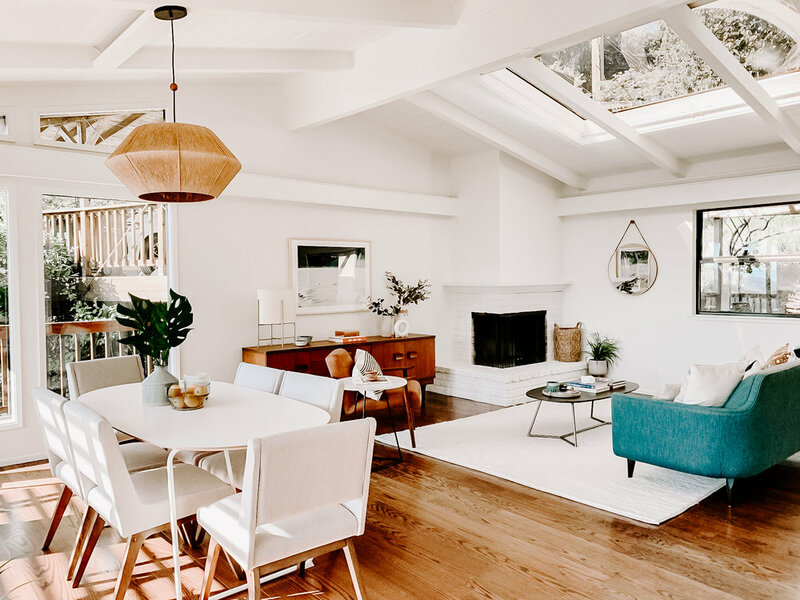 With clean lines in mind, the home's mid-century architecture was impeccably maintained while offering today’s desired open-concept style of modern living. Oversized wall-to-wall windows bring ample natural light throughout the home, accentuating the warm elegance of original hardwood floors paired with vaulted open-beamed ceilings. Seamlessly blending indoor and outdoor living, 84 Polhemus includes 3 bedrooms, 2 bathrooms, 1,344± square feet of living space on a private, sunny lot. A large back entertaining deck provides plenty of room for al-fresco entertaining and star gazing in a quaint hillside setting. The great room boasts open-concept living, dining and entertaining with crisp white painted walls to accentuate the sense of space and light. New stainless steel appliances outfit the kitchen with sleek cabinetry, quartz countertops, stylish black hardware and a subway tile backsplash. The open dining area is large enough for 8-10 guests who will love dining amidst the sparkling views of Madrone Canyon and the San Francisco Bay. The modern design continues into the three large bedrooms on this single-level home. Each bedroom features open-beamed vaulted ceilings and wonderful natural sunlight. 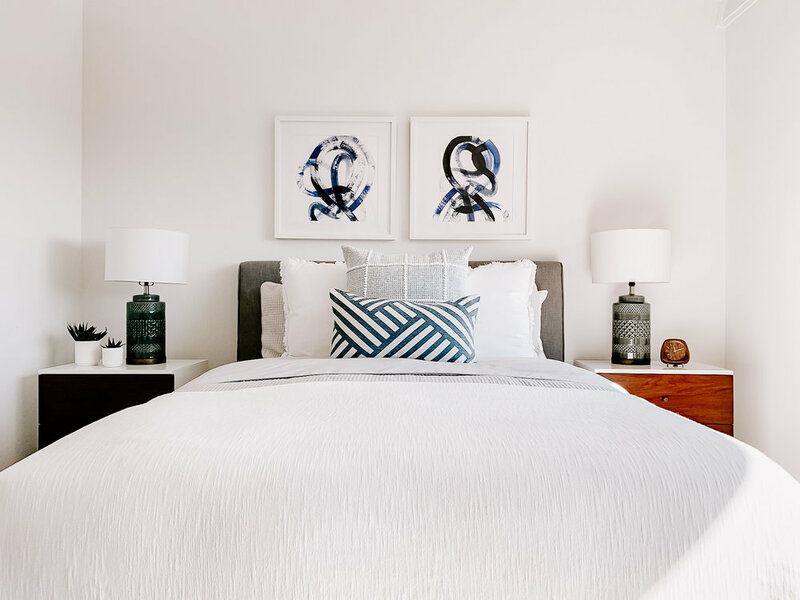 The en-suite master bedroom enjoys stunning Bay Views and slide doors that connect to the large front deck. The private deck is an entertainer’s dream. With a deck spanning the length of the home, there is plenty of space for gatherings, lounging, playing and dining outdoors. 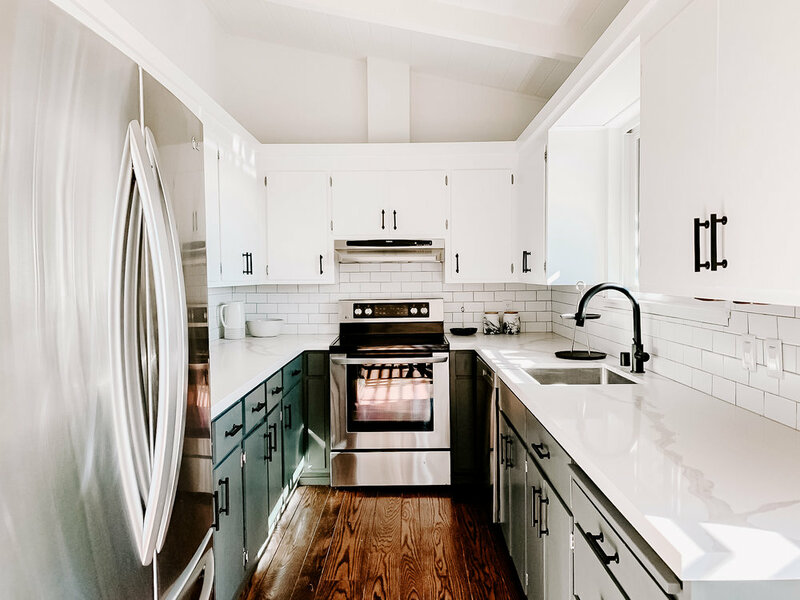 The quintessential Larkspur location enjoys local access to scenic, world-class hiking/biking trails right out of your front door and is only minutes from Larkspur’s vibrant downtown. 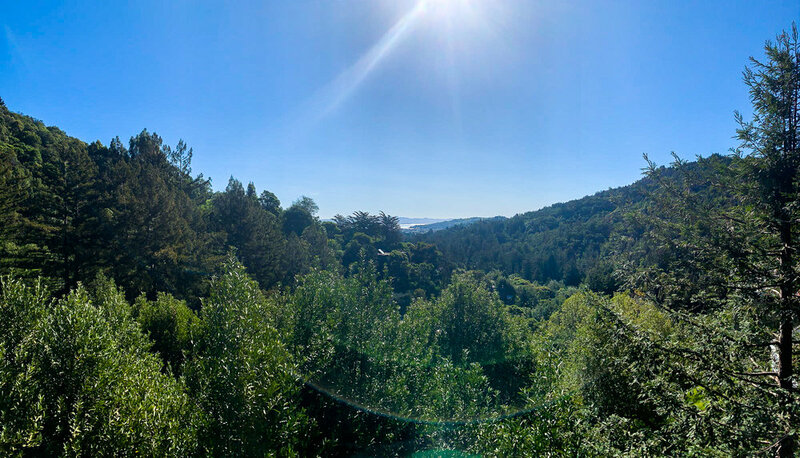 Take advantage of the easy access to Baltimore Canyon’s Open Space Reserve, the award winning public school district and downtown Larkspur’s favorited shops and cafe’s in Picco Restaurant, Equator Coffee, Perry’s Restaurant and so much more.